Health care program costs are at the heart of the territory's financial problems. The Medicare funding rate for Puerto Rico is 40 percent lower than the mainland U.S. rate. (Bloomberg) — Gov. Andrew Cuomo and New York City Mayor Bill de Blasio called on Congress to boost health care funding for Puerto Rico that could help the government pay down its $73 billion debt that has it hurdling toward fiscal doom. The two Democrats appeared together Thursday at a rally of thousands in San Juan, the U.S. island territory’s capital, arranged by the Puerto Rico Healthcare Crisis Coalition, a group of doctors, hospitals and insurers. The rally was part of a wider call on Congress, which includes President Barack Obama, that so far has failed to help with a rapidly escalating fiscal crisis that may cause Puerto Rico’s government to run out of cash this month. Obama and Puerto Rico officials have asked federal lawmakers to allow some agencies to file for bankruptcy and boost funding for health care programs, requests that haven’t advanced for lack of Republican support. Cuomo told reporters in San Juan that Puerto Rico Gov. Alejandro Garcia Padilla will join him and union leaders in New York for a summit in the coming weeks where they’ll begin a national campaign to draw attention to the commonwealth’s woes. “Adequate federal funding is absolutely necessary to avoid the impending humanitarian crisis and I urge the U.S. government to help us achieve fairness and parity for Puerto Rico,” Cuomo said in an e-mailed statement. A boost in funding, particularly for health care, could help improve Puerto Rico’s cash flow and prevent a program that provides coverage to the elderly from collapsing, according to the coalition. About 60 percent of the island’s population receives health care coverage through the federal programs for the poor and elderly, according to the coalition. The Medicaid program receives a reimbursement rate that’s 70 percent lower than any mainland U.S. state and a Medicare rate that’s 40 percent lower, the coalition says. The Centers for Medicaid & Medicare Services (CMS) has approved an 11 percent cut to Puerto Rico’s Medicare Advantage premiums. When it goes into effect next year, the program will collapse, adding as much as $800 million to Puerto Rico’s system, further worsening its fiscal crisis, the coalition said. De Blasio said in a statement that there’s a moral responsibility to help Puerto Rico. “When we all stand together, Congress cannot ignore our call: they must address the island’s economic crisis and the injustice in its federal health care funding,” the mayor said. The joint appearance by Cuomo and de Blasio, who marched together in the rally, was their first in months. The two have been feuding since de Blasio took office in 2014 over everything from taxes on the wealthy to mass-transit funding. Yet they both agree on the need to help Puerto Rico overcome its debt load. New York is home to more than 700,000 Puerto Ricans, about twice as many as in San Juan. Cuomo also visited Puerto Rico in September and said at the time that his administration would help the territory find Medicaid and Medicare savings. Since taking office in 2011, he has overhauled the programs in New York and is moving them toward a managed care model that will better coincide with the changes brought on by Obama’s signature health care program. The commonwealth has yet to file its audited statement for the fiscal year ending June 30, 2014. Sens. 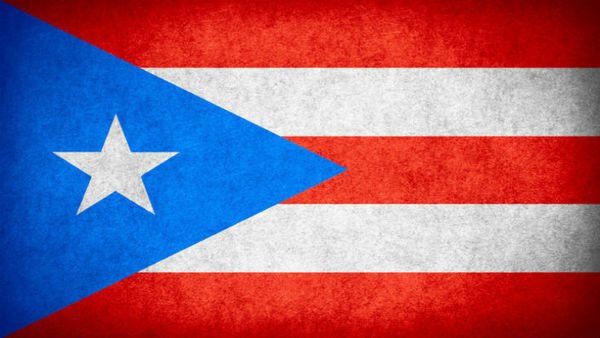 Orrin Hatch, a Republican from Utah, and Lisa Murkowski, a Republican from Alaska, told commonwealth officials during recent committee hearings on Puerto Rico’s fiscal troubles that the island must update its financial disclosures before the federal government can help. —With assistance from Henry Goldman in New York.